If I see Dan Dan Mian on a menu, I’m guaranteed to order it. 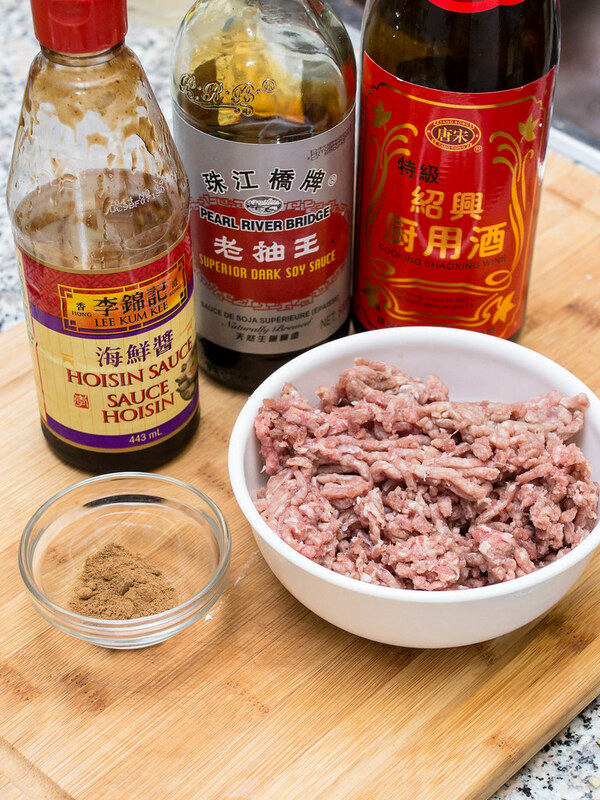 The simple bowl of noodles topped with minced pork and sweet Sichaun sauce is one of all time favourite dishes. At home, I’ve tried making the noodles using store bought seasoning packages, which come close in flavour, but doesn’t quite replicate the taste of dan dan noodles from my favourite restaurants. 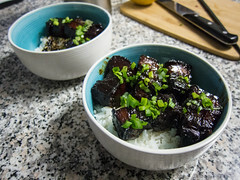 After our succesfull attempt at La Zhi Ji Ding, The Hubby was confident he could cook the dish from scratch and tweak the recipe to appeal to my taste buds. I’m a lucky woman. 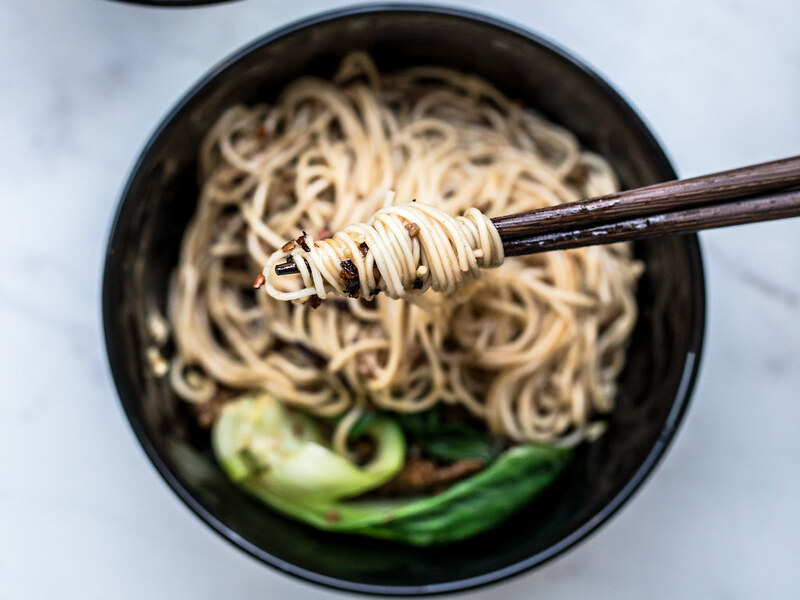 For the most part, we followed this recipe from “The Woks of Life” but made a couple of adjustments based on what we had in our cupboards. 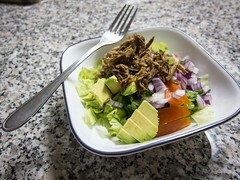 The recipe turned out fairly easy, and very delicious. We now also have a jar of homemade chilli oil, that adds a drizzle of goodness to any dish. 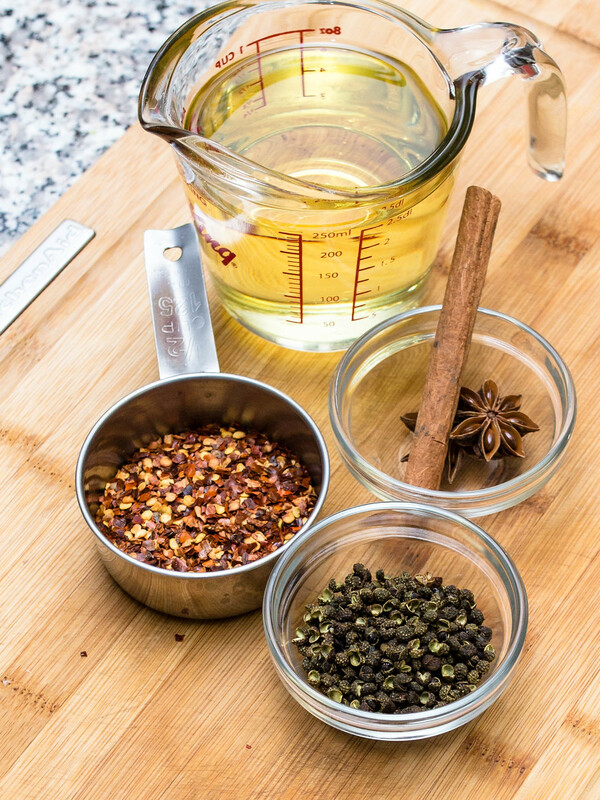 For the chilli oil, in a small pot add the oil, Sichuan peppercorns, cinnamon and star anise. 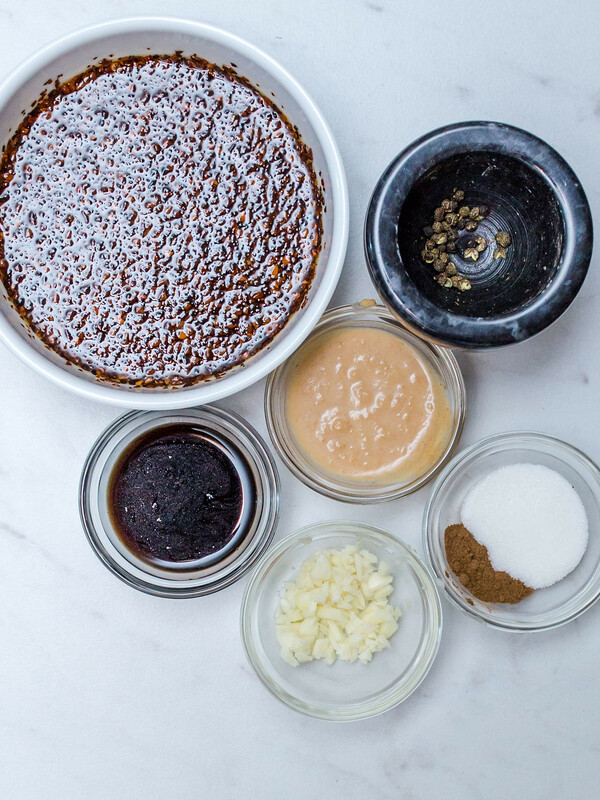 Over low to medium heat, heat the oil until it reaches 160 degrees Celsius and remove from the stove. 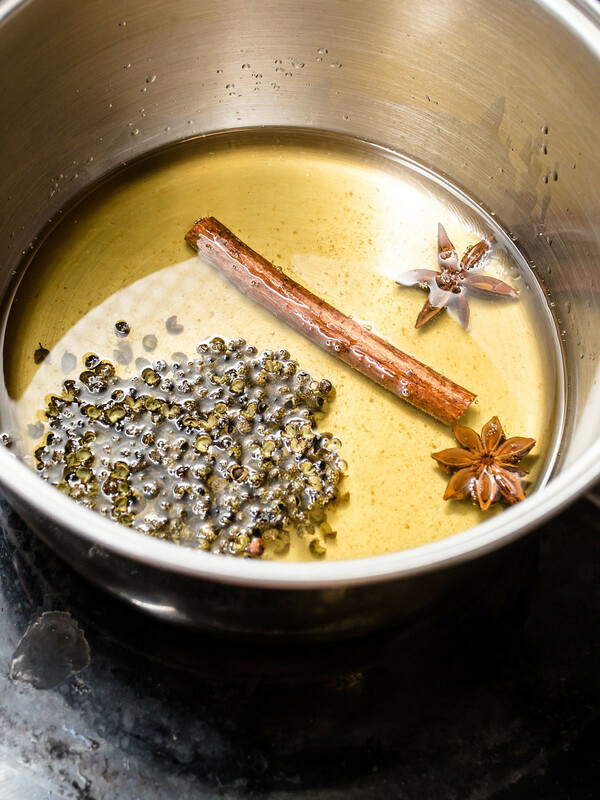 Let the oil sit for 5-6 minutes and then take out the star anise and cinnamon stick. 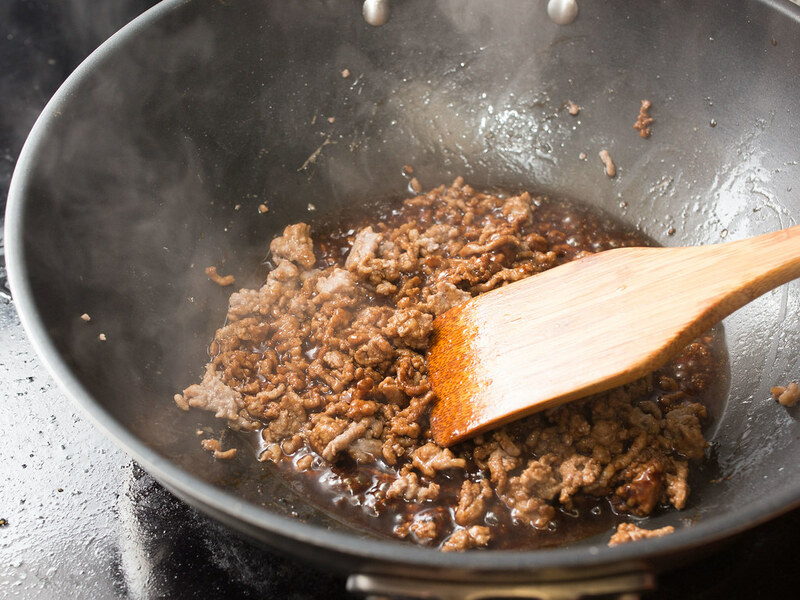 Add in the crushed red pepper flakes while the oil is still hot, which will release a strong fragrant aroma. 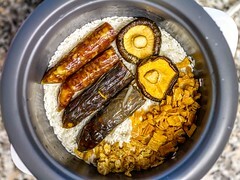 The oil can be set aside and will be ready to use once cool. 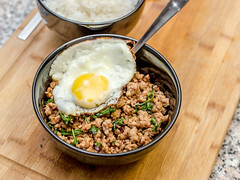 In a oiled pan, heat until the oil begins to smoke and add in the ground pork, hoisin sauce, cooking wine, dark soy sauce and 1/2 tsp of five spice powder. Sautee until all of the liquid has evaporated and the pork is brown. Set aside. Cook the somen according to the instructions on the package and drain. Using the water from the cooked noodles, blanche the bok choy leaves. 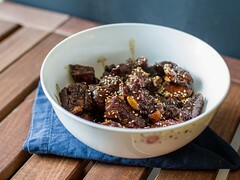 In a large bowl, assemble the sauce for the noodles using 1/2 cup of the chilli oil, peanut butter, 3 tbsps of soy sauce, sugar, 1/2 tsp five spice powder, 1/2 tsp ground Sichuan peppercorns and minced garlic. 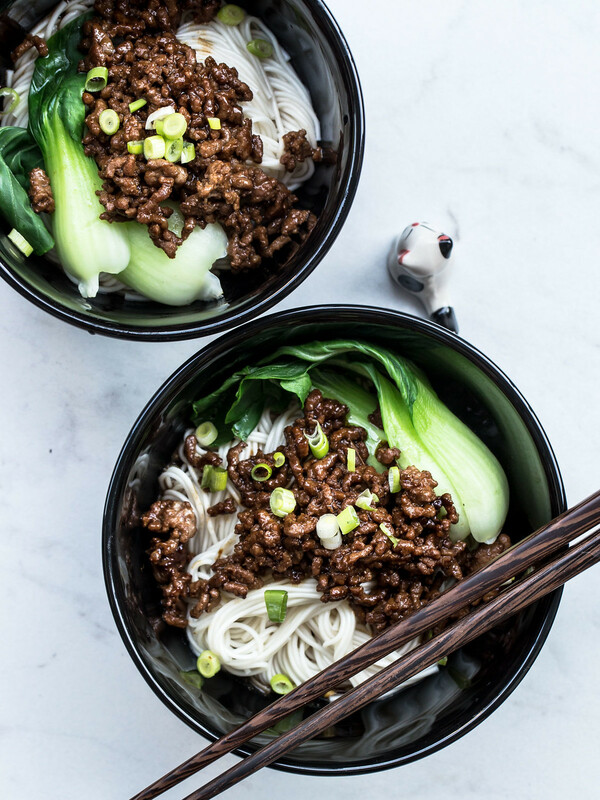 To serve, portion out the cooked, drained noodles, add in a ladle or two of sauce (and more chilli oil if needed), top with bok choy, cooked ground pork and garnish with chopped green onions. 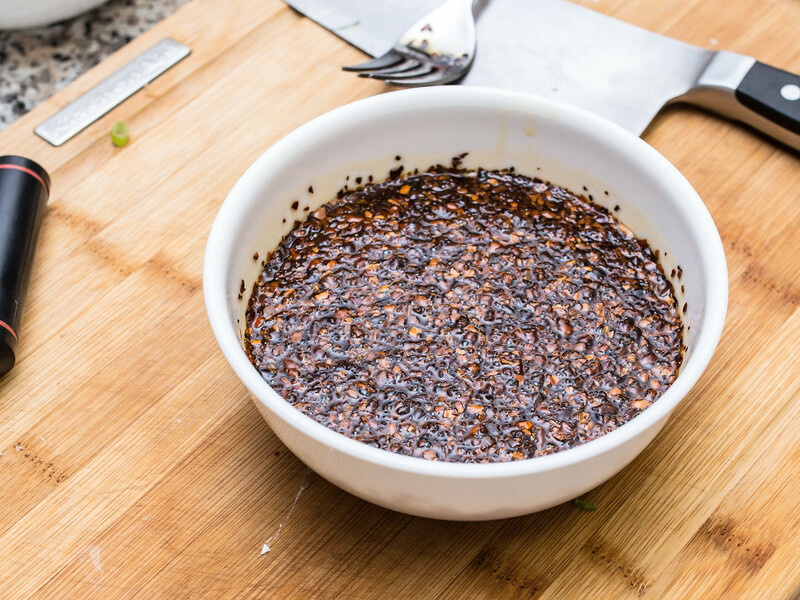 Tip: If you're worried about the level of spiciness, start with using less chilli oil to the sauce. You can always add more directly to the noodles. Note: While heating up the oil for the chilli oil, we actually went higher than 162 degrees Celsius, which made the crushed pepper flakes quite dark.